← Can We Place a Price Tag on the Value of an Education? 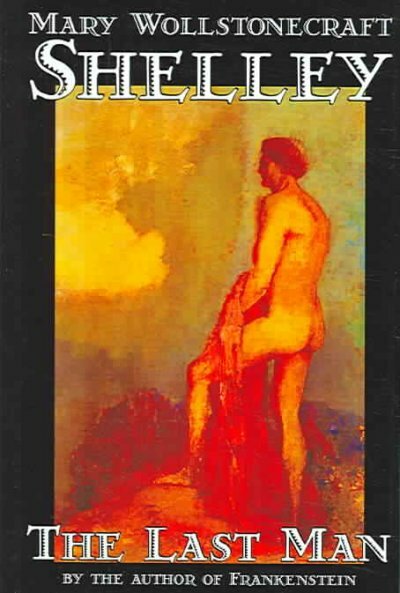 First published in 1826, Mary Shelley’s The Last Man is an apocalyptic science fiction novel about a future world ravaged by plague, written by the author of Frankenstein. The story is a first-person narrative told from the point-of-view of Lionel Verney, who grew up an orphan with his sister Perdita. In the opening chapters, Lionel holds a deep resentment for English royalty and nobility because they failed to take care of him and his sister following their father’s devastating gambling loss and subsequent suicide (apparently the royals didn’t get the memo that they were supposed to). However, this soon changes when he meets and is befriended by Adrian, heir to the British throne who harbors republican tendencies. Lionel and Adrian quickly become best friends forever, Lionel marries Adrian’s sister, and Perdita marries a military hero. The Last Man is divided into three volumes. The first volume is largely focused on introducing the characters and their histories. Unfortunately I didn’t find any of the characters that likeable, and in fact couldn’t wait for the plague to take effect and start killing them off. That doesn’t happen until well over 100 pages into the book. Reading a 375 page novel written in passive voice and Victorian English doesn’t necessarily equal a quick read nor a page turner, but I am glad I finished this book for the historical perspective it holds. The novel takes place in Europe during the time period 2070 – 2100 AD, well into the future from Shelley’s perspective, but not too distant into the future from the current time. Shelley has created a world where peoples’ primary modes of transport are still boat and horseback, and while one cannot blame her for failing to predict the technological age, it was difficult to picture The Last Man as a futuristic novel. Also, given the popularity of apocalyptic fiction over the past 30 years, a world ravaged by plague that would leave few survivors doesn’t seem all that new and creative. Yet I imagine that, like with Frankenstein, Mary Shelley was well ahead of her time, especially with her favorite sub-themes on the potential failings of medicine and science. Interestingly, The Last Man was hated by critics upon its original publication, and only received a publishing revival in the 1960s when this type of fiction became more culturally acceptable. Still, I greatly preferred Frankenstein as a demonstration of Mary Shelley’s genius as an author, and science fiction classics like Fahrenheit 451 that portray a futuristic world that is more similar to the one we live in today. Also, I don’t think a novel with over a 100 pages of back story before any action would hold up in today’s society. Perhaps the 19th century critics had a better idea of the future than Shelley did. This entry was posted in Movie Reviews/Book Reviews and tagged apocalypse, book reviews, classics, fiction, Frankenstein, Mary Shelley, plague, Science Fiction. Bookmark the permalink.